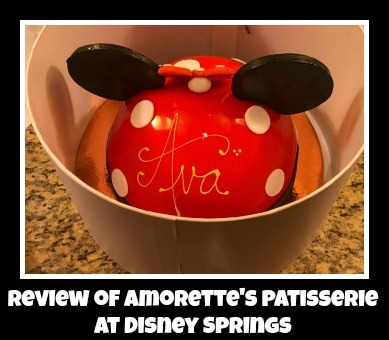 Back in November, we visited Amorette’s Patisserie at Disney Springs for the first time. 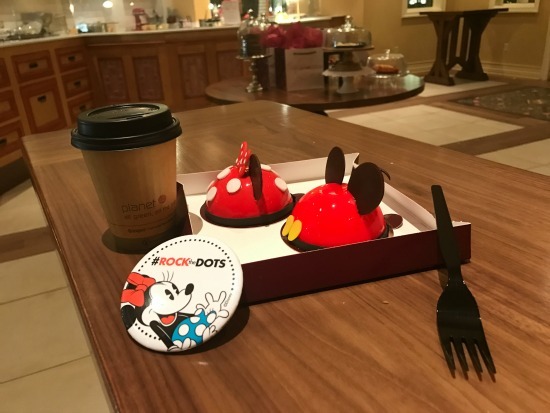 We loved the Disney themed desserts they had to offer. Amorette’s Patisserie has petite character-inspired dome cakes, as well as many other delicious offerings like sweet and savory crepes and other delectable delights. They happen to be delicious and you can also enjoy a tasty espresso alongside your dessert. 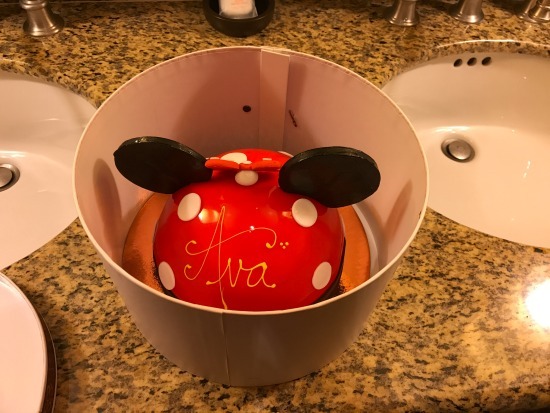 When we planned on returning for my daughter’s birthday weekend in January, I knew I had to find a way to get one of Amorette’s Patisserie’s larger Minnie dome cakes home for her birthday. We went to Disney Springs in the evening. We grabbed dinner on the outside screened porch of Art Smith’s Homecomin’. After we were done, we headed over to Amorette’s Patisserie in the pouring rain. We decided to get some additional bites to eat and wait out the rain. The staff did such great job of wrapping up the cake in additional saran wrap that I was confident in taking it back to the resort on the bus. Also, the cake comes in a hat box style container that has been specifically designed for these cakes. Finally, we had a break in the rain and were able to make a break for the bus stop. We had one more night at Animal Kingdom Lodge. Once we got into the room, I took the one shelf out of the mini fridge and was able to fit the box in the fridge. When we were ready to check out the next morning, I took our baggage and cake to the bell services desk and asked them to keep the cake in cold storage. We took off for the park. We had a 6:00 p.m. Disney’s Magical Express reservation. So we headed back to the resort and got our luggage around 5:45 p.m. Our flight was on time thank goodness and took off right at 9:00 p.m. 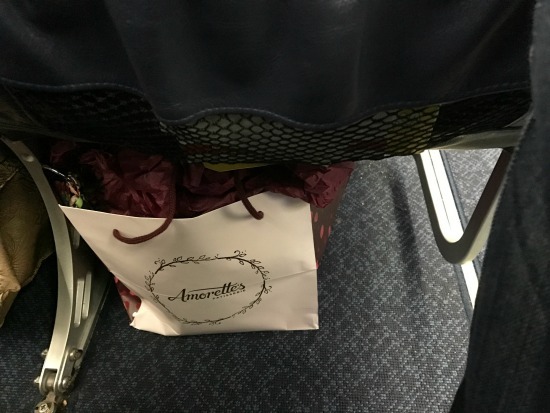 I stored the cake underneath the seat on the plane and it fit perfectly. We were home by 11:30 p.m. and in the fridge it went. We had the cake the next day for her birthday and it was great! 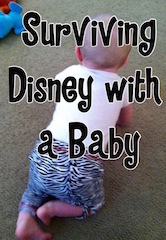 It was nice to bring a little piece of Disney home for the rest of the family. This just might have to be a tradition for our birthday trips. They have all kinds of flavors that sound amazing. 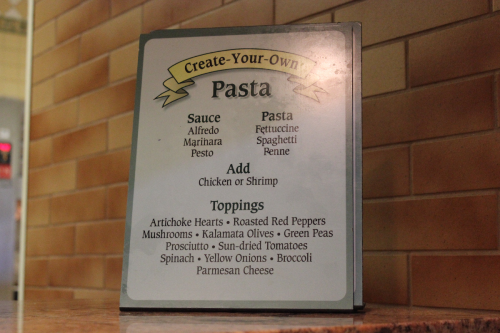 The staff also said that any flavor combinations can be requested. I hope on your next trip you get to try some of the delicious offerings at Amorette’s Patisserie. We are looking forward to trying their sister store, The Ganachery, next time we are down. What has been your favorite thing to try at Amorette’s Patisserie? Share in the comments. So you didn’t have any trouble going through TSA with your cake? I have this cake class actually scheduled on our last day. We fly out in the evening, nonstop so 2.5 hours at the most. I have heard some have trouble getting it through security.